2019 is our 8th Season offering Croquet to the North East of Scotland. 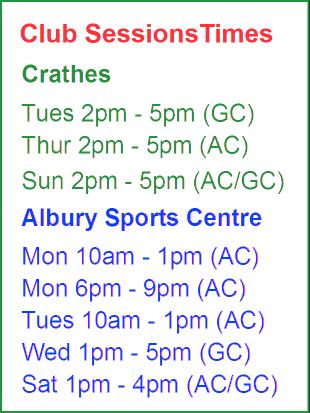 Our opening day at Albury was on Saturday 13th April Crathes opening day is on Tuesday 23rd April at 2.00pm. New members – beginners and experienced players – are always welcome. Our early Season coaching courses for beginners start in May. Aberdeen and Crathes Croquet Club, originally called Crathes Croquet Club when it joined the Scottish Croquet Association (SCA) in 2014, is dedicated to promoting BOTH Association and Golf Croquet. We play on the picturesque lawn at Crathes Castle, Banchory, courtesy of the National Trust for Scotland, and at the Albury Outdoor Sports Centre, Ferryhill, Aberdeen, courtesy of Sport Aberdeen and Albury Outdoor Sports Centre. Club membership has risen over the past 5 years to 45 men and women of all ages. Every year more members participate in SCA and Club Tournaments helping to improve the playing standard and reduction in members’ handicaps. Our Club Coach, Bill Strachan assisted by John Owen, offer a coaching programme to cater for both the competitive and social player. ACCC is strongly committed to the development of croquet in the North East of Scotland. 2016 was the club’s most successful season so far. We retained The Piersland Rosebowl (an East, West and North competition of AC/GC matches): Brian Clark and Bill Strachan won The Wilkinson Sword Trophy (Interclub AC doubles): Bill Strachan partnered by John Surgenor won The Spalding Trophy, AC, advanced rules, alternate stroke doubles: We failed by only 3 hoops to qualify for the final of the SCA Interclub AC event and in the final event of the season Bill Strachan won the Balgreen Single Ball handicap event being the only undefeated player on the day. With the help of a Lottery Grant in 2015, the club has now adequate equipment to cater for any new members. ACCC is strongly committed to the development of BOTH forms of croquet in the North East of Scotland..